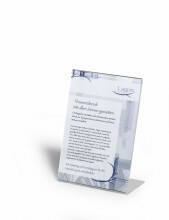 Table sign for 1/3 A4 literature with four adjustable reading angles. 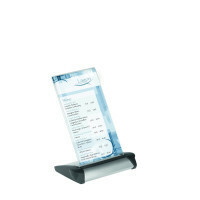 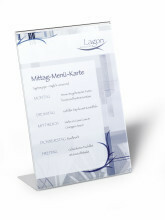 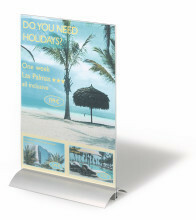 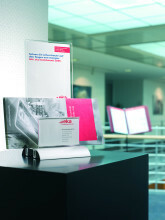 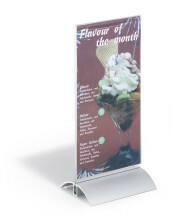 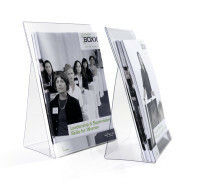 For use on sales desks, reception areas, exhibitions, trade fair stands and window displays. 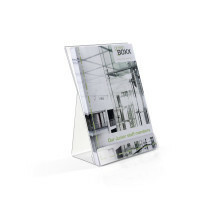 Made of strong, glass-clear polystyrol. 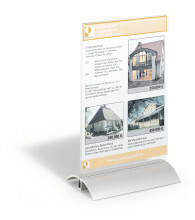 Table sign for A5 literature with four adjustable reading angles.